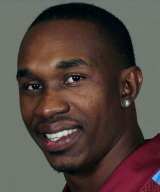 Dwayne Bravo has been ruled out for two weeks with grade one hamstring strain. Kane Williamson injured his shoulder while fielding in the second Test against Bangladesh, and later the MRI scans confirmed that he had suffered a grade one tear to the pectoral minor muscle in his left shoulder. Although Kane Williamson and the SRH management are yet to confirm on his availability, he will most probably miss the initial few games. 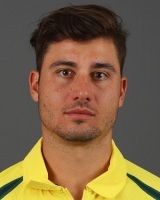 Marcus Stoinis won't be available for first 3-4 IPL matches as he will be with Australian side to play a 5 match ODI series against Pakistan. Analysis : Nathan Coulter-Nile has been in superb form off late.He was a part of the Australian squad that toured India this month. In the T20 series against, he picked four wickets in the two matches. He also featured in a couple of ODI's and took 3 wickets in them. He is expected to lead the bowling attack for RCB this year and Virat Kohli will hope the right-arm pacer can solve his problems in the bowling department. Nathan Coulter-Nile won't be available for first 3-4 IPL matches as he is with Australian side to play a 5 match ODI series against Pakistan. Analysis : The World Boss Chris gayle is making a comeback to the ODI team after a very long time. He will look to give a good show with bat in the one off ODI aagainst England.